Environmental services are intangibles benefits that nature gives to humans as CO2 capture, erosion control, groundwater recharge, and others. Payment for Hydrological Environmental Services (PSAH) in Mexico dates back to 2003 and it was originally financed by a portion of the fees collected by water utilities. Several laws, regulations, standards and guidelines comfort a framework for the PSAH establishment and operation. May agencies involved in PSAH in Mexico include the National Water Commission (CONAGUA), The National Forestry Commission (CONAFOR) and the Environment Secretariat (SEMARNAT). These three government entities are responsible to establish, fund, review and monitor each one of the programs related to payment for environmental services. PSAH programs give an economic incentive or cash payment to owners or holders of forest land for providing hydrological services. The lands must establish and implement a sustainable development plan and set of actions and be attractive to providers and beneficiaries of these services. 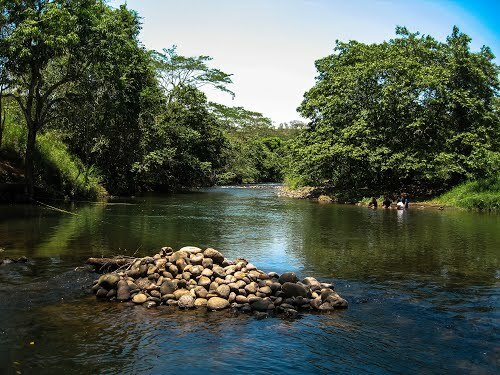 In this report, a overview of payments for environmental services is presented with a case study in the region of Acayucan, Veracruz. In Mexico, Payment for Hydrological Environmental Services is relatively a new topic, and despite the outreach work of institutions and the existing economic support to programs, poor organization and operation of these programs raise some concerns among this entities and offers ample opportunities for improvement.